The attention of Kwarareporters.com has been drawn to a particular video (Protest against Abdulrahaman Abdulrasak's candidature) flying on social media. We want the general public to know that this particular video flying on social media was an edited version of the video, laced with other materials (not our own) and it was maliciously used to satisfy the cravings of the sponsor and not ours (KwaraReporters). 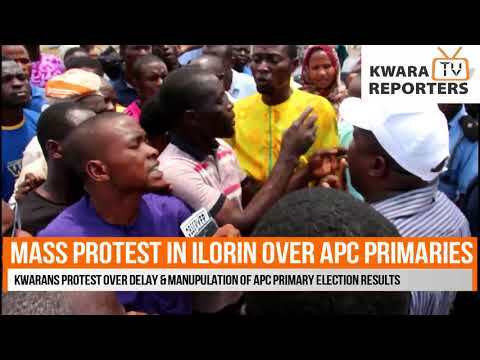 We want to make it known to the public that this medium (KwaraReporters.com/KwaraReporters TV) know nothing about this particular video. Those behind this devilish act should desist from tagging or attributing our medium with their act because we are not a political organization and we are only a watch dog, between the government and the good people of kwara.